North Texas Kids is your go to place for the latest scoop on DFW happenings this Holiday Season. Our Holiday Guide gives you a glimpse at the many fun things to see and do around town and much more. Also in our Holiday Guide is a giveaway for 4 tickets to Enchant Christmas! This contest is only available through this special feature so check it out! Giveaway ends on Friday, December 4th. 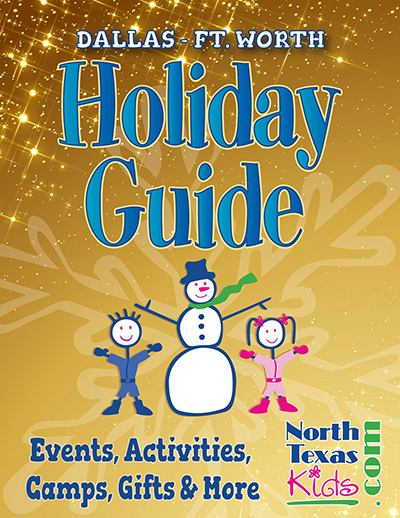 View/download the Holiday Guide now! Want to advertise your product, activity, camp or service? Email us! 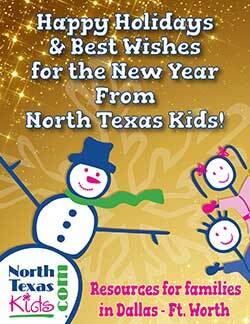 Don’t forget to share North Texas Kids’ Holiday Guide with your friends. Click on one of the social sharing buttons under this post and email it too!